Portia St. Claire's brother has gambled and lost, throwing her into the power of ruthless men. Their price for his life is her virtue, to be auctioned off in London's most notorious brothel. To retrieve an incriminating letter, Bryght Malloren once broke into a house where he was greeted at pistol point by a resolute woman-a woman he could swear stands before him, masked and trembling, on a madam's auction block. Winner of numerous RITA awards and multiple Career Achievement Awards from Romantic Times, Jo Beverley keeps listeners hot under the collar with her riveting period romances. 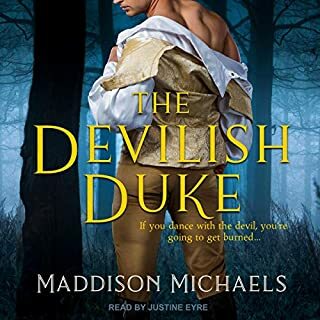 Here the lovely Petra d’Avernio is on a desperate hunt to find her real father—an English lord who doesn’t know she exists and may be the only person who can protect her. On her journey she meets the devilishly clever earl Robin Fitzvitry, and a passionate affair is enflamed. Desperate to help her widowed sister and baby escape a deadly pursuer, Lady Chastity Ware dresses as a highwayman and captures the first coach to travel down the road. Coming face-to-face with its occupant, the arrogant aristocrat Cyn Malloren, she orders him to drive her to a remote cottage. Little does Chastity realize that after long months of recovering from his war wounds, the handsome Cyn is looking for adventure, and being abducted by a cocky highwayman - obviously a lovely woman in disguise - is even more than he had hoped for. New York Times best-selling author Jo Beverley has received numerous RITA Awards and Readers' Choice Awards from romance fans. Set in the late 1700s, Winter Fire is a tale of reunion and reignited passions. 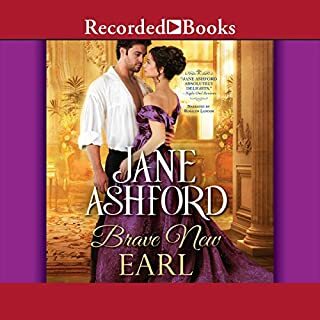 Genova Smith has no patience for the Marquess of Ashart, even if he is sinfully attractive, but when they share a fiery kiss, they must both fight to protect their hearts from being stolen. Jo Beverley pens romance novels of immense appeal, as evidenced by her frequent appearances on the New York Times best-seller list. 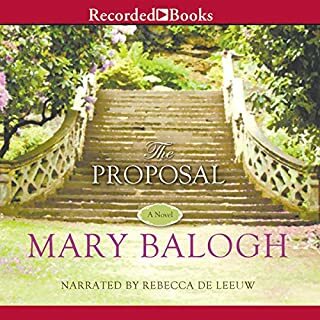 In this installment of Beverley’s Georgian Secrets trilogy, young Dorcas Caroline Froggatt rushes into marriage with a soldier who defends her honor. Supposedly killed soon after going off to war, the erstwhile groom again figures in Dorcas’ life when, years later, she attempts to marry another. There are some lovely reviews left for this book and some talked about how exciting they found the story and some said they could not put the book down due to excitement. However I neither found the book exciting nor interesting. If anything I found it a bit silly. This story line going from her being devoted to a husband she did not know and wearing a ring that he had not even given her to her doubting if she should stay married since she planned on holding on to her money after all. As if that is a choice after they were married already and by law he owned all. Completely silly and not much of a storyline.